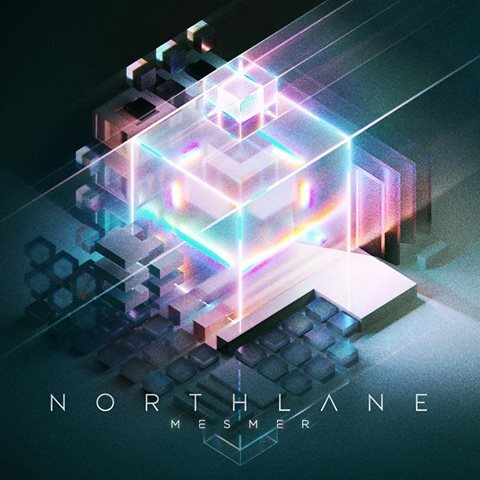 Northlane pulled a Beyoncé and announced the release of their new record, "Mesmer". Not an upcoming release. The actual release of the album. In a lengthy statement, the band explained that they wanted to reward their fans for their support over the years by providing them with an album "that they can hear the second they know it exists". The album is available for free streaming and in all sorts of "post-order bundles". You can read their statement below -and go support them, they truly deserve it! We are proud to announce that our new album Mesmer is out now worldwide as a CD, LP, tape and via digital services. It is a true pleasure to be able to deliver something as important as a new album directly to our fans first and foremost. Mesmer, which was produced by David Bendeth, includes “Intuition” and “Citizen”. We will very shortly be explaining a lot more about the album and answering your questions on Facebook Live. You can now listen to the album on all streaming services worldwide, and you can “Post-Order” our album bundles all over the world including Vinyl, Limited Edition Merchandise, CDs, Cassette and Downloads. Meanwhile, stores in Europe, UK, North America and Australia will also have it available. So why did we choose to release our new album in this way? Through determination, hard work, sacrifice and a bit of luck, we are able to travel the world taking our music to fans both old and new. We’re able to spend time crafting the music we want to hear with the benefit of not having to leave the studio early to go and work a job. To an artist these are real luxuries. We appreciate them more than anything and we’re in the position of being able to do this because of you - our incredible fans who continue to support us. You free us to be the artists we want to be. Because of this, we have decided to put out this record in a way that means our fans will hear it the second they know it exists. You can stream Mesmer for free right now if you want to. If you want to support us even more, all the new LP variants and merch are all available for purchase immediately. No one has to wait, and if you’re buying direct from us or our label, you don’t have to purchase an expensive bundle because everything is available separately. This is our way of rewarding our fans for everything they’ve given us. What our music means to you is what it means to us. Art is an experience, and to us it reserves no room for competition, and the only accolade that matters to us is the place this holds in your heart. Releasing the album in this way has had its disadvantages. We were warned that it was going to be a difficult thing to pull off, and that it could mean the album won’t chart as well or get covered enough by the media. But for us, that didn’t matter. We’ve had some awesome chart results (#1 and #3), been nominated for and won awards, and we’ve been in plenty of magazines around the world. It’s all great and flattering, but for us nothing compares to the feeling we get from connecting with our fans who love and respect our art. To share in that with them is everything to us, and when it came down to it - it was the one thing that mattered the most. Releasing Mesmer in this way has been right for us at this moment in time. We have grown immeasurably as people and as a band through the toughest recording process we’ve ever endured. We’ve been tested every step of the way and have come out the other side with something we are truly proud of. We didn’t want to keep it from you a moment longer than we had to. We felt we owed it to this album to try and think creatively about every aspect of the way people would experience Mesmer, like a gift from us to you that is being unboxed. We wanted to make everyone’s discovery of this moment special.